Found myself in downtown Vancouver one evening with an hour to kill, and as luck would have it, it was right smack in the middle of golden hour. Score!! 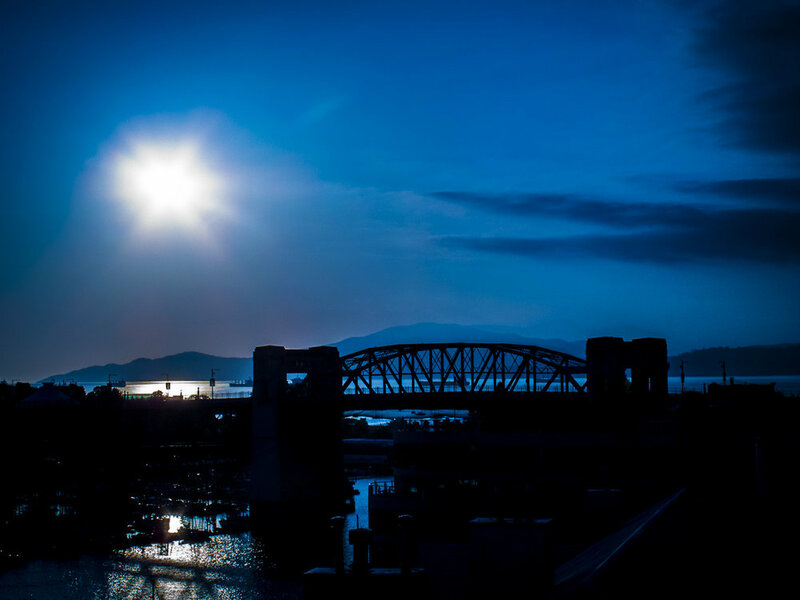 Wandered up to the Granville Street Bridge, looking west to the Burrard Street Bridge and English Bay, and snapped a few photos of the sun going down. You know, I really do live in one of the most beautiful places…. !